Hey guys! 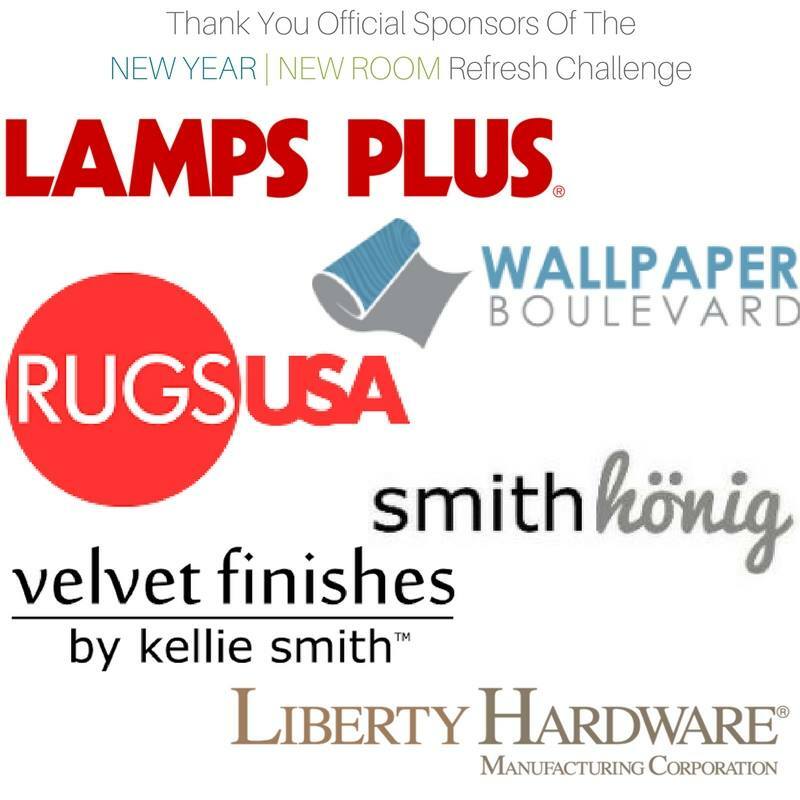 Welcome to week 5 of the New Year, New Room Refresh Challenge hosted by Stephanie from Casa Watkins Living. Today is suppose to be reveal day, but due to the snow storms and all that jazz some of the girls received their items late, so we decided to push the reveal to next week. Not to mention, I still would have not been ready…Yikes! Instead of giving y’all another progress shot, I decided to share with y’all the simplest DIY/upgrade EVERRRRRR! No lie, my 9 year old could probably do this! 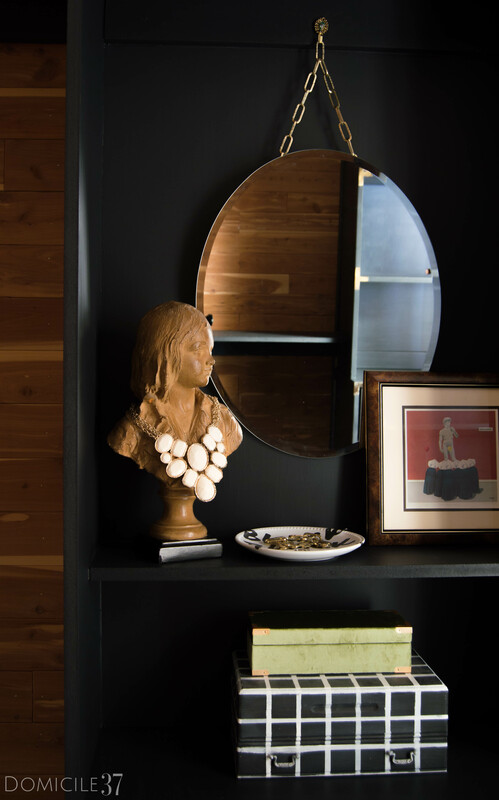 For today’s DIY, I am going to share with you how I upgraded a plain ol’ mirror (that the mister picked up for me at an estate sale) to a cool, hip, chained with gold mirror. Guys, all I am saying is…it is AMAZING! 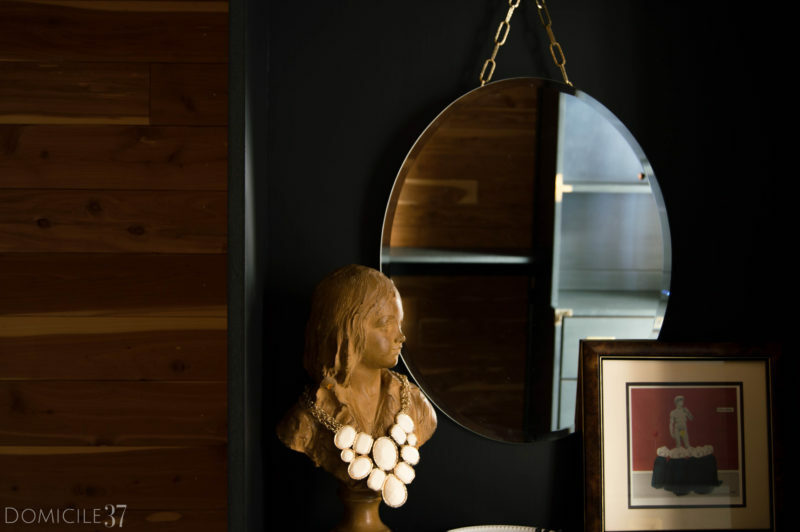 Determine how high you want to hang your mirror. 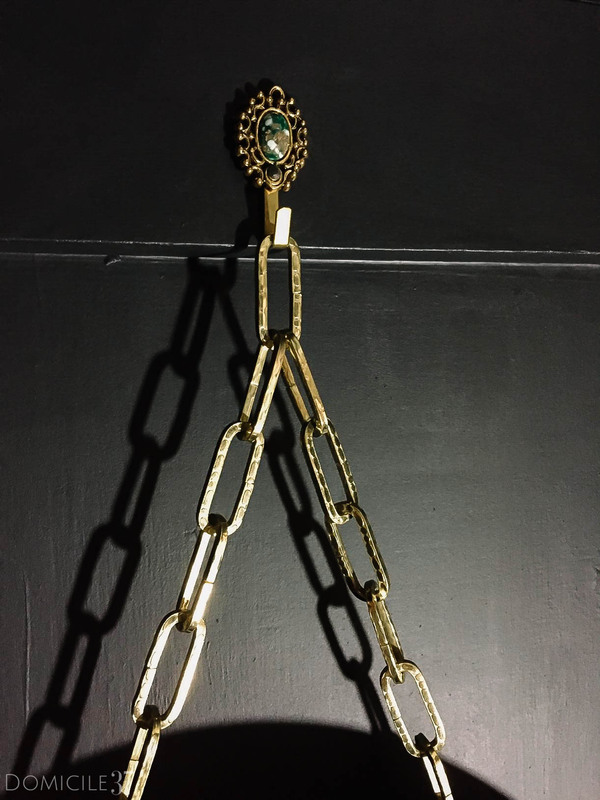 I looped the chain into the hanging mechanism on the back of my mirror to give me a good feel for what how long I should make my chain. Cut chain to desired length. You can do this by taking pliers and prying open the chain to get rid of excess. 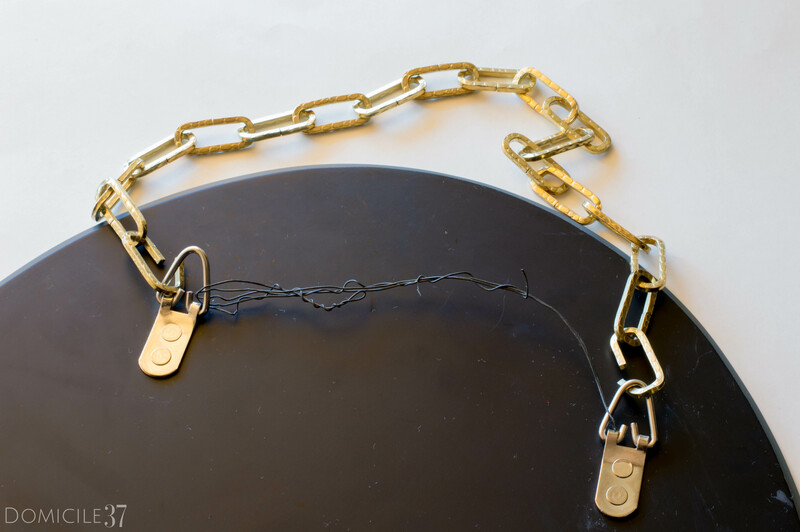 Open the ends of each side of the chain by prying it open with the pliers and loop it into hanging mechanism on back of mirror (like shown above). Use the pliers to close the chain to help secure it. Excuse the bad photo, I took this on my phone. I wanted to share with you this cool jewel hook that I bought at an estate sale. It is so pretty and it adds the perfect little touch to this space. Voila, there you go…the easiest most simple upgrade ever…NO painting necessary! Follow me on instagram for more sneak peeks of this space. Be sure to come back next week for the full reveal and don’t forget to check on what the other gals are doing and how they are refreshing their space for 2018! It is looking SOOOOOO good! What a great idea Jess, I am loving what I am seeing! I love this DIY so much! I feel like I get tired of updating mirrors, etc. with paint and such. The chain gives it such a cool look and I’m totally digging that gorgeous jewel hook. Fab find!! This is really a very simple way for upgrading a plain mirror. This mirror is looking beautiful. Thank you! Simplicity at its best! I love how big the chain is. What a difference it makes! Thanks…I thought it looked kinda gangsta if you know what I mean….